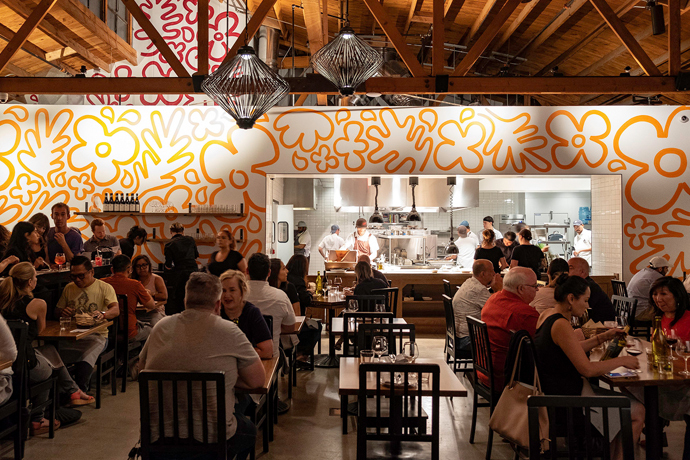 You love good sushi, but every time you patronize one of those spots on Sawtelle, you're treated to about as much atmosphere as a filling station car wash. (Or so we're guessing.) Helping remedy that: the new Bar Hayama. Surrounded by wooden fencing and leafy bamboo plants, Hayama is a granite fire-pitted oasis in the middle of West LA. French doors lead from the patio to the intimate dining room and sake bar, where owner and sushi chef Frank "Toshi" Sugiura (who's only the CEO of California Sushi Academy, the former owner of Venice's Hama Sushi and one of the country's few certified master sake sommeliers) has assembled a list of 60 stellar sakes divided into useful categories like "clean and crisp" and "rich and savory." Toshi's favorite is the Daishichi Classic, but you can splurge on a $300 bottle of Daishichi Houreki Reserved or opt for variety with a three-glass tasting flight. Sushi is almost-alive fresh, with specials like king salmon, stone fish and sweet shrimp changing daily. American-inspired dishes include backfin crab cakes with mustard sauce and a massive one-pound filet mignon, which the kitchen will slice so your whole table can try. Soon Hayama will even offer a late-night menu of macrobiotic small plates to pair with sake.